The Marvel Cinematic Universe is, first and foremost, made up of comic book superheroes. This gives them license to do a lot of things that most other movies can’t get away with. However, they’ve also done their part to at least base their world in some form of reality. The MCU is supposed to be our world, if it had superheroes in it. So, if the non-enhanced people in the MCU are as powerful as normal people, then exactly how powerful are the super powered guys? 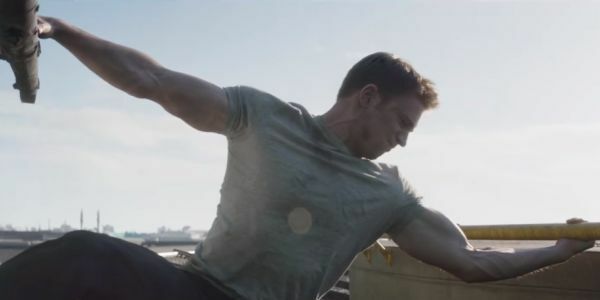 It turns out, Captain America is about 10 times stronger than the strongest normal humans, as that’s what it would take for him to stop a helicopter in its tracks. Even if you haven’t seen Captain America: Civil War yet, if you’ve seen the trailers, then you’ve seen the moment where Steve Rogers tries to stop a helicopter with his bare hands. He grabs the helicopter skid with one hand, anchors himself to the ground with the other, and pulls. Then, he adjusts his grip, so he can look slightly more badass while doing it. He’s successfully able to keep the chopper from taking off. It’s an impressive feat of strength, to say the least. The science team over at Nerdist has now reviewed the scene and done the math on what it would take for Captain America to pull this off. The helicopter in question is believed to be an Airbus AS350, with 3,000 pounds of lifting capacity. That means Cap would have to exceed that in order to keep the helicopter stationary. World records for bicep curls are in the hundreds of pounds, not the thousands. Apparently, the super soldier serum didn’t just increase Steve Rogers strength, it did it by an order of magnitude. What did you think of Captain America’s feat of strength? Was it your favorite moment of Cap awesomeness in the MCU, or is there something else that you liked better? Let us know in the comments. Cap's a total badass, right? Probably the most badass member of The Avengers. Which is why we went ahead and named the 11 Most Badass Captain America Moments from the MCU. Think you can guess them all? Some Marvel heroes, who have been role players up to this point, proved in Civil War that they need their own movie. Like Black Widow. Right? Here are the reasons why Black Widow deserves her own movie. 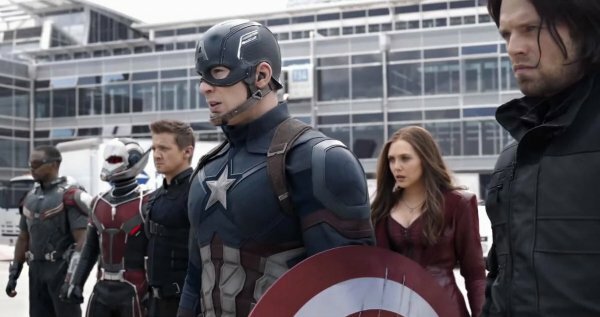 And it has been a few weeks, but we STILL can’t stop raving about that Airport Scene in Captain America: Civil War. In fact, we had to break down all of the reasons why THIS is the best action scene in any Marvel movie to date.